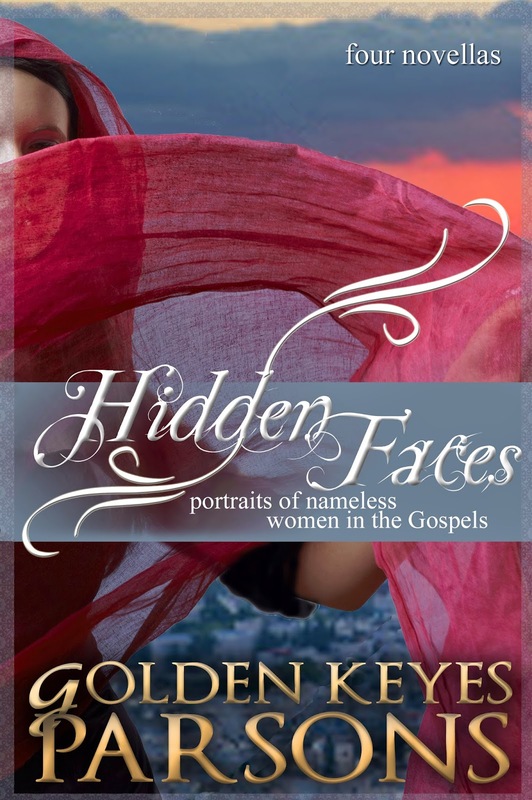 I can remember the first time I read a biblical fiction novel. It was Marjorie Holmes's Two From Galiliee. which was the love story of Mary and Joseph. I was mesmerized. I gave the book to a friend declaring she would absolutely love it ... but she hated it. Upon inquiring of her why she did not like the book, her reply was that it made Mary and Joseph too human. That was what had captured my heart. understanding of who these women were. For example, I had always thought the adulterous woman was a prostitute. However in doing the research, many scholars believe she was a betrothed virgin. 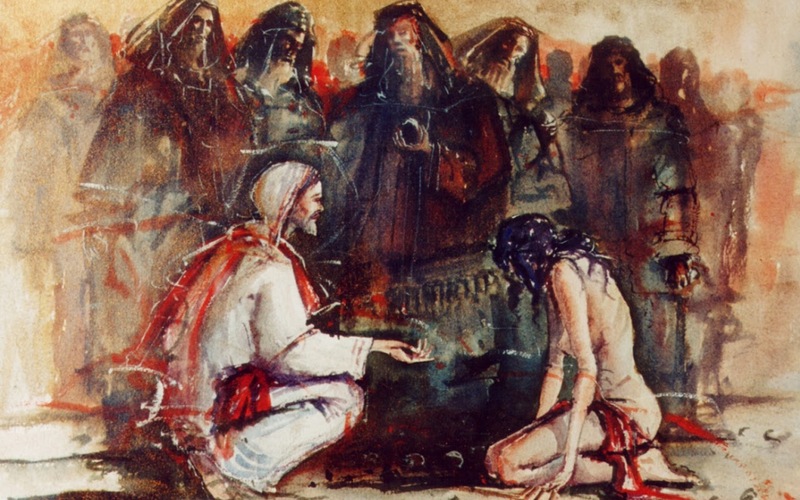 The reason given for this viewpoint was the very logical conclusion that if the woman was a prostitute, what grounds did the Pharisees have to accuse her of adultery? Prostitution was widely practiced in Jesus's day. Many of the very men who brought her before Him were most probably regular customers of prostitutes. No, in order for them to trap Jesus, they needed an iron-clad case of adultery. It had to be a married woman with someone besides her husband. A betrothed virgin would suffice as betrothal in this day and time for the Jews was as binding a marriage. Secondly, it was a trap, a set-up. Someone had made a deal with the Pharisees to participate in this despicable scheme in order to trap Jesus. 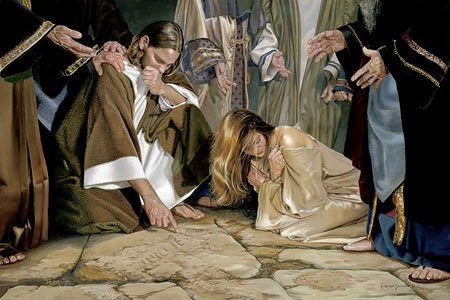 If He agreed to stone her, then they would say He couldn't be the Messiah because He was not compassionate. If He were to say, "Let her go," they would again say He couldn't be the Messiah because He wasn't upholding the Law. So this young girl had been lured by some means into committing adultery in order to trap Jesus. Another incriminating piece of information it was a trap is the fact that her partner was not brought before Jesus. The Law stated both partners were to be presented before the priest. Where was he? Possibly gloating over his successful venture counting the money he was paid by the conspirators. man thought his wife guilty of adultery, he could bring her to the priest for judgment. The priest would scoop up dust from the Temple floor, mix it with holy water and make her drink it. If her stomach bloated, she was guilty. If it didn't, she was innocent. Did the Pharisees perhaps think Jesus was going to put this judgment into motion? Did the adulterous woman think she would have to drink the concoction and be proven guilty? She knew she was guilty. Instead he began to write something, and I believe it was the names of those ready to stone the woman to death because of her sin. I believe He wrote those men's names and the women with whom they had committed adultery. These bits of information from my research gave me a whole new perspective on this woman and on the compassion of Jesus. Instead of being angry at the Pharisees trying to trap Him, his focus was on this woman who needed forgiveness. Perhaps we all need a new perspective on those around us who simply need a touch from Jesus. Good insights into this story, Golden. I agree, the whole thing was to trap Jesus, and it's always really irked me that they only brought the woman. But Jesus' solution was such a lesson in compassion, first for the woman, and also for her accusers. Everyone who was present ended up a winner...and walked away with a new perspective on compassion. What they chose to do with that isn't known. Except the man she committed adultery with. He wasn't brought before Jesus. Hmmmm.... now that makes me wonder about him. Hmmm.... I wonder if he was in the crowd with her accusers. It's certainly possible. Interesting thought. If he was present, then he got a lesson in compassion as well. If not, he might have been the biggest loser of all in that whole scheme. All good questions, indeed food for thought. In my book, he ... well, I suppose I should say, "Read my book!" I will say this: The book starts and ends with him seeking Anna's forgiveness. Fascinating information and insight to an oft told story. I've heard the "trap" theory before in a sermon preached a number of years ago. It reinforces Jesus' intelligence, His compassion, understanding, and His love for people of all walks of life. Thanks for the reminder. What an interesting post, Golden. I had thought she was a prostitute too, but I also thought it was a trap. Thanks for sharing your research into this story that shows Jesus compassion and also his insight into the hearts of man. I've always wondered about the guilty man. And about the woman afterwards. Was she able to resume her life with her head up? Was she shunned? Lots of questions for heaven.